This guitar tab book gives you 13 tunes from the 1997 album that the All Music Guide calls Stevie Ray Vaughan's "best live record yet released." The performance took place during the 1984 tour for Couldn't Stand the Weather, and featured guest performers Jimmie Vaughan and Dr. John. 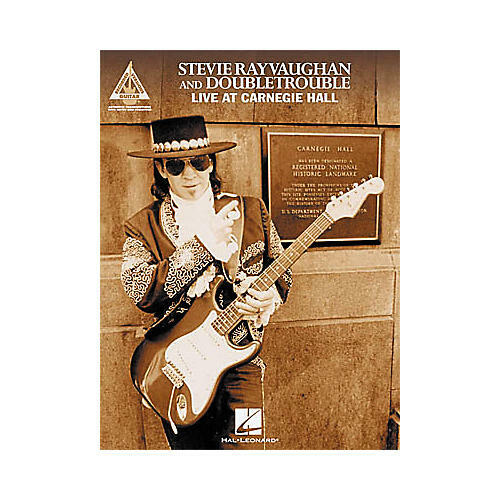 This Stevie Ray Vaughan guitar tab book includes these songs: "C.O.D.," "Cold Shot," "Dirty Pool," "Honey Bee," "Iced Over," "Lenny," "Letter to My Girlfriend," "Love Struck Baby," "Pride and Joy," "Rude Mood," "Scuttle Buttin'," "Testifyin'," "The Things That I Used to Do." Includes photos.